Bayero University, Kano, BUK School of Postgraduate Studies [BUK SPS] School Fees Schedule/Breakdown for Fresh and Returning Students for 2018/2019 Academic Session. 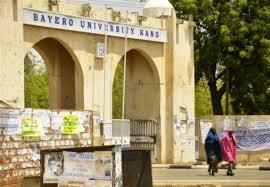 The Authorities of the Bayero University, Kano, BUK School of Postgraduate Studies [BUK SPS] has released the amount of fees payable by all Postgraduate Students both Old and New Students for the 2018/2019 academic session. Recommended: BUK Postgraduate Registration Guidelines 2018/2019 | Fresh & Returning Students. Click Here to Download Fee In PDF. Payer's Phone are captured exactly as they are written on the BUKPPF. Note that Payer (Payer's Full Name, Payer's Email, Payer's Phone) means the student, so even if the student is not the one making the payment (payment by proxy) make sure to use the student information. Any misinformation may lead to unnecessary delay in validating and processing of payment. Payments are usually validated and processed within 24/48 hours of making payment. BUK PG school fees PAYMENT will close on Friday, 26th of April, 2019. Late Registration for all students attracts ₦5,000 additional charges. Late registration period is from Monday, 29 April 2019 to Sunday, 05 May 2019.